Serving the historic city of Bellmead and parts of Waco, Texas, the La Vega Independent School District is responsible for the education of over 3,200 diverse students, pre-kindergarten through high school. Formed in 1927, the district has cultivated several generations from both urban and suburban areas. The supporting community continues to rally behind the students and their aspirations. Grounded in the belief that learning adds quality to life, the school district is committed to preparing students in their contribution to an ever-changing, interdependent society. Student engagement and success are two central points of focus for the district, as it works toward a goal of Exemplary status designated by the Texas Education Agency. Parent engagement is a critical component to student success. According to a survey conducted by Learning Heros, 90 percent of parents think their children are achieving at or above grade level in math and reading. Nearly two-thirds of parents believe their students are above average in academics. However, the National Assessment of Educational Progress (NAEP) has found that only 30 percent of students are actually performing at their grade level. Digital tools and technology have allowed educators to clear these misconceptions and better connect with parents who are preferring remote methods of communication now more than ever. Researchers at Teachers College, Columbia University, and Harvard University looked at programs that texted parents when their child was absent or in danger of failing a grade. Researchers found that students of parents who were automatically enrolled in a texting program had raised their grade point averages by a third of a letter grade, and overall course failure fell by 25 percent. La Vega administrators recognized the success of these technology-based reminders and two-way communication tools. “We have students for 8 to 10 hours a day. For the other 14 we need parents furthering our cause,” explained Chris Borland, Instructional Specialist for Technology for La Vega. La Vega understood that reaching parents through technology furthers engagement, but the district’s system for parent communication was highly outdated. Traditional methods such as automated recordings were no longer working. Parents would not only ignore these recordings—they blocked the district’s phone numbers completely. Additionally, the previous communication system did not allow for collaboration or input from parents. Scheduling parent-teacher conferences, for example, was a cumbersome task. The district’s previous technology did not have the capability for parents to negotiate times, resulting in a negative impact on meeting attendance. Lastly, all of the district’s communication systems and tools were running on separate platforms. Administrators had several different logins and information streams were unnecessarily siloed, making tools difficult to manage. La Vega had to evolve its systems to be more collaborative, easy-to-use, and better integrated. La Vega needed technology that could close the communication gap between educators and parents. They were first introduced to Edlio’s products eleven years prior, when the district was in need of a new website. At that time, Edlio built La Vega a website powered by its content management system rich in features and easy for faculty to update. This time, the district decided to upgrade its outdated communication system, changing providers to Edlio and installing its parent engagement app, Sangha. Compared to competitors, Sangha offered the district the most utility possible at a competitive price point. The app addressed all the district’s needs, including a function for scheduling parent-teacher meetings and two-way messaging with parents. Sangha supported secure private messaging between La Vega administrators, teachers, and parents. 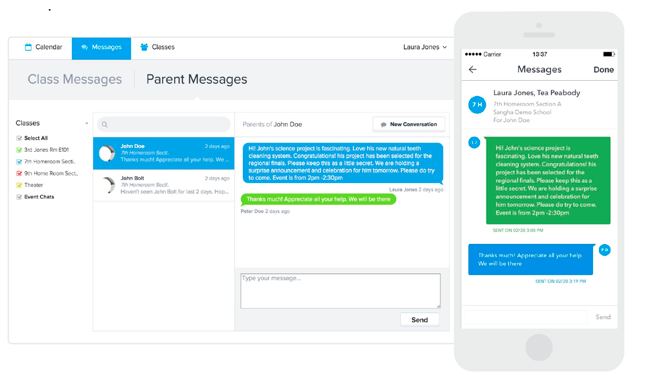 Based on the understanding that parents needed more than alerts and blasts, the two-way private message communication tool enabled school staff and parents to hold extended and secure discussions. Through Sangha, La Vega was able to consolidate multiple channels that provided administrators with easier system access and oversight. 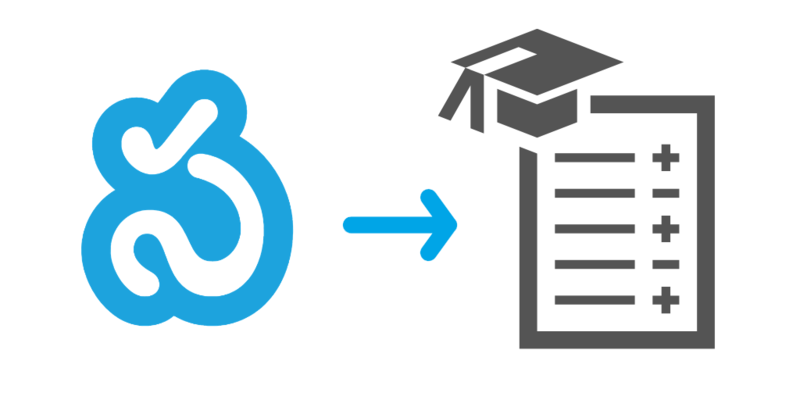 Every district administrator and teacher was able to use the same interface with preset permissions. District administrators could access a school-wide view of all classes, teachers, groups, and parents. Teachers had a simpler classroom view to communicate with only the parents of their students. Another significant feature the district has embraced since installation is the ability to manage and accept school payments from parents. Previous payments were made by cash or check, and had to be tracked by pen and paper. Sangha allows administrators to easily access reports and identify who has paid and who needs additional follow-up. Digital payment options have streamlined the collection process and saved faculty hours of valuable energy. The biggest benefit to La Vega was Edlio’s emphasis on customer support. With Edlio’s proactive and highly responsive customer service team, La Vega’s tech department never has to worry about installation or maintenance issues. Every request is handled immediately and the Edlio team continues to ensure the technology runs as smooth as possible. “I don’t ever feel forgotten,” said Borland. The district has big plans to leverage even more of Sangha’s features. In the coming months, La Vega plans to utilize the app for their state’s mandatory Student Success Initiative meetings. They will push out notifications to parents and allow them to select meeting times that work best for their schedules. From permission slip forms to volunteer sign-ups, Sangha will boost efficiency and transparency through a single integrated platform. Edlio school website CMS celebrates teachers! Congratulations to this award winning school website! Connect with our K-12 communication experts. Find tutorials and reach out to our friendly experts. Get valuable insights on a wide range of key topics for educators.